You may be thinking orthodontic treatment is just for teenagers. 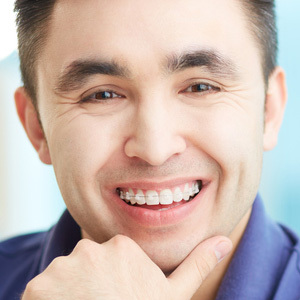 You may be thinking orthodontic treatment means wearing brackets and wires for years. It’s time to rethink orthodontic treatment, thanks to Invisalign! Invisalign is the most discreet method to achieve a straight smile, and it’s perfect for people of any age, including adults. Dr. Gregory Mark at Forest Hills Dental in Forest Hills, NY wants to share the advantages of Invisalign and why it is the right choice for you. 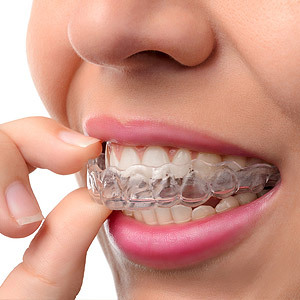 The Invisalign system uses a combination of clear plastic trays, called aligners. You will receive your first set of aligners, which you wear for 2 weeks. You then move on to a different set of aligners, which you wear for another 2 weeks. You will progress to a new set of aligners every two weeks until your treatment is complete. The typical length of treatment is between 9 and 15 months. Invisalign treatment is quick, compared to years with conventional brackets and wires. Invisalign treatment is comfortable, because the aligners are made of smooth plastic, with no sharp parts to irritate your gums, cheeks, or tongue. Invisalign treatment is cosmetically beautiful, because the aligners are clear plastic and virtually invisible to people around you. Invisalign treatment is convenient, because you can remove the aligners to eat, brush, and floss. The many advantages of the Invisalign system help to make it the right choice for you. If you want rapid results in a short period of time, Invisalign is the right choice to make. If you want a comfortable, discreet way to achieve a straight smile, you need Invisalign! To find out more about this revolutionary way to straighten your smile, call Dr. Gregory Mark at Forest Hills Dental in Forest Hills, NY today! Invisalign is a successful dental treatment that replaces traditional metal braces. It uses clear aligners that are made of an invisible plastic material. Rather than being bonded to the teeth like braces, they are completely removable. They have proven to be successful in patients of all ages. Your Forest Hills, NY, Invisalign specialist, Dr. Gregory Mark at Forest Hills Dental, can determine whether or not this dental treatment is a viable option for your oral health. There are many advantages to choosing to have Invisalign. The first is improved oral hygiene. With this appliance, you are able to clean your teeth easier than if you had braces. They are discreet, another benefit, making them work great for younger patients. In terms of comfort, Invisalign wins too as the aligners will not irritate the soft tissues in your mouth like metal wires and braces do. Also, they protect against teeth grinding as they serve as thin nightguards. Your Forest Hills dentist can examine your teeth and decide if Invisalign will be successful for you and your goals for your smile. These clear aligners are custom made with special computer software to move teeth from their current position to the best alignment. This movement is broken down into several stages. Aligners are worn for a period of time before the next set is worn and so on until the desired position is achieved. Proper oral hygiene is imperative with these aligners. Since they are removable, it is easy to brush and floss regularly to prevent decay, cavities or gum disease. Wearing your aligners as prescribed is important to achieve your new beautiful smile. To learn more about realigning your teeth with Invisalign, contact Dr. Mark, your Forest Hills, NY, dentist at Forest Hills Dental, today by calling (718) 275-9792 to schedule an appointment.